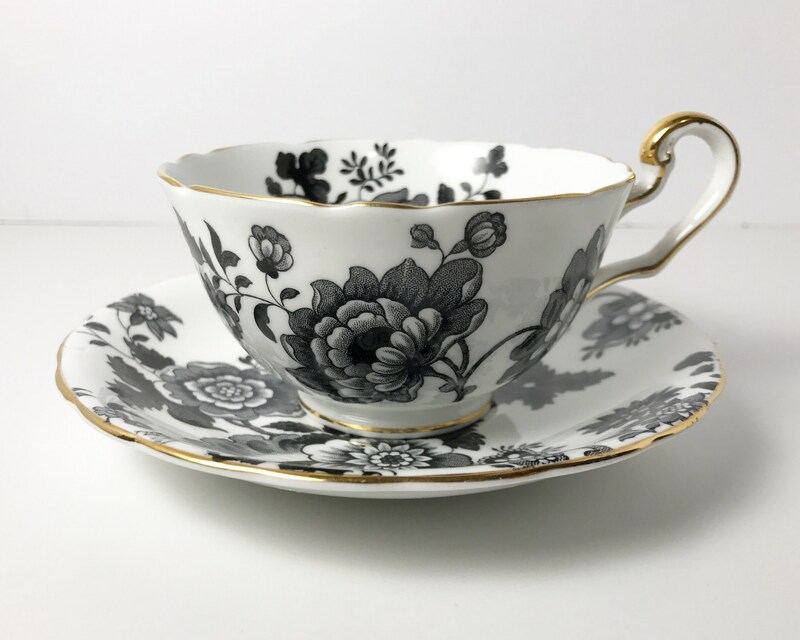 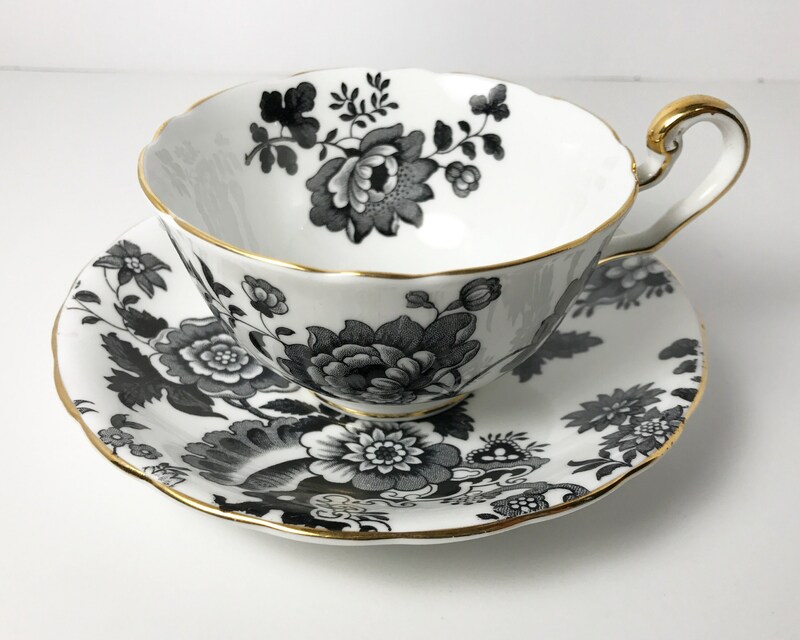 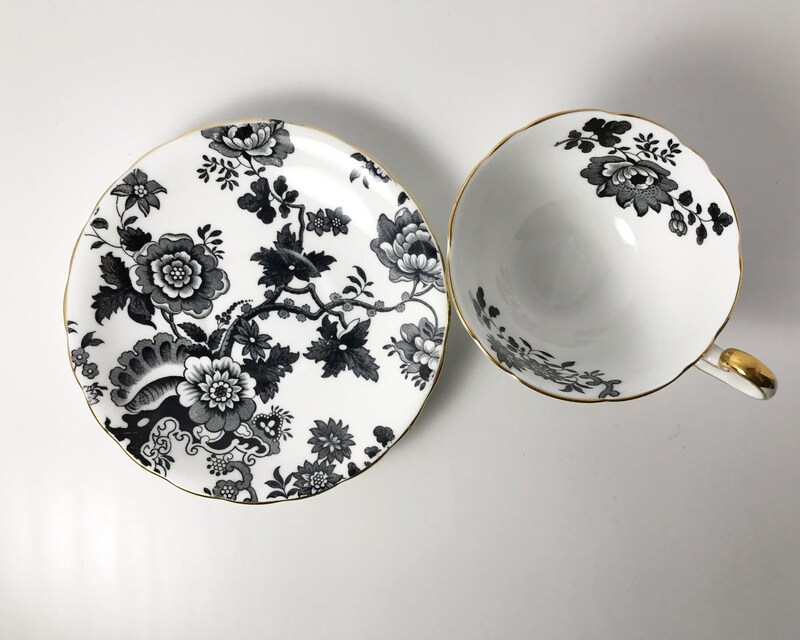 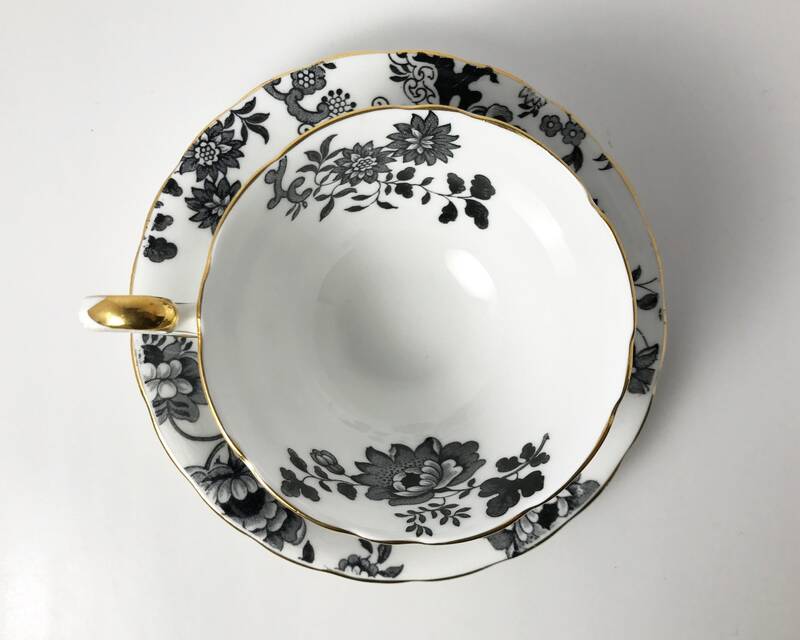 This is a stunning teacup and saucer with a bold black and white floral design that really stands out in any teacup collection. 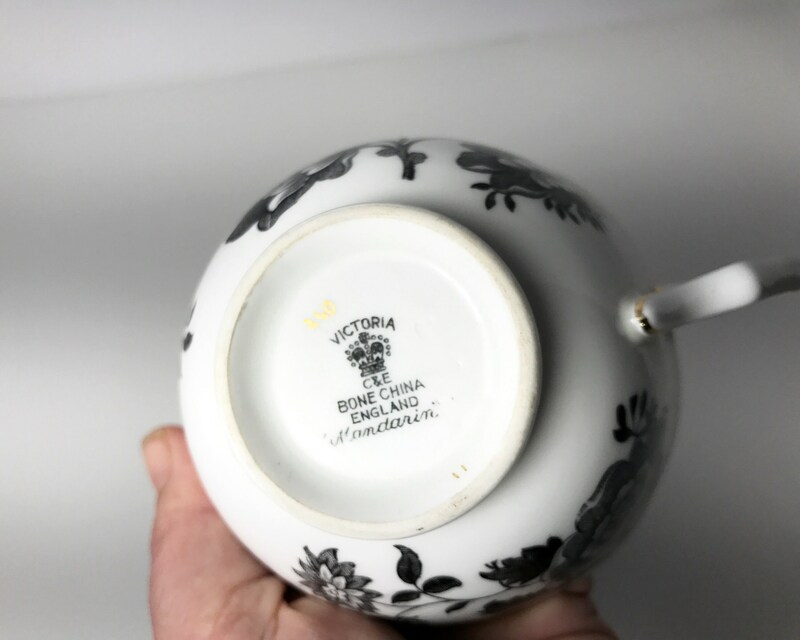 It was made by Cartwright & Edwards of Longton, Stoke-on-Trent, in their Victoria Pottery works. 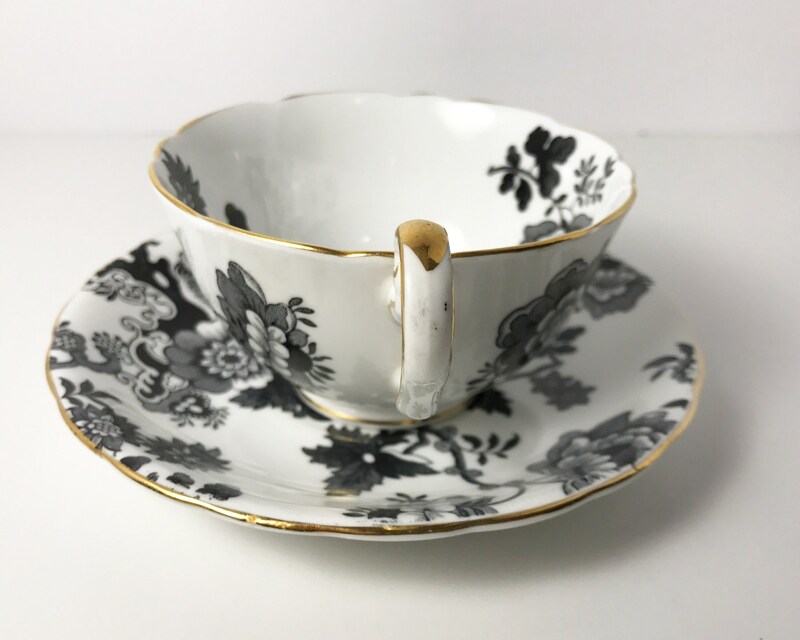 The mark dates it after 1936 and before 1955, but the style suggests late forties, early fifties to me. 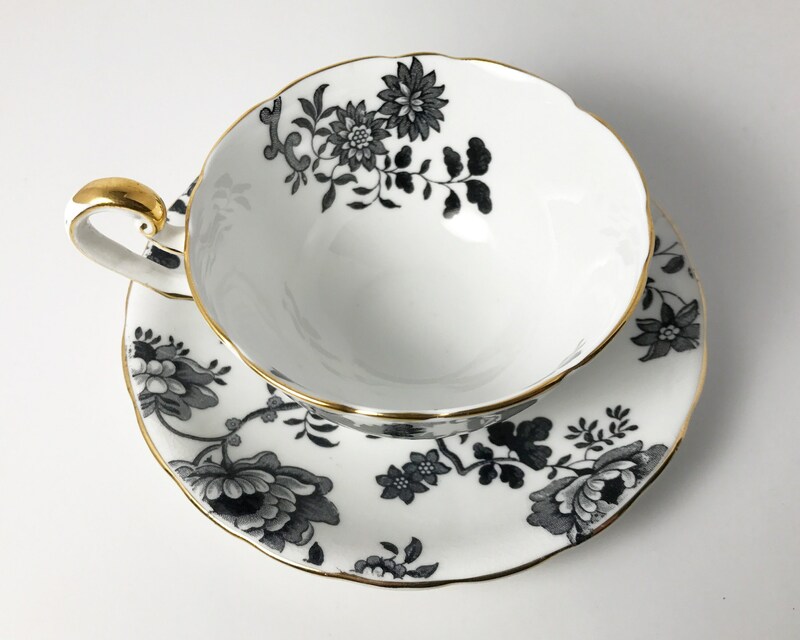 Trimmed in gold, on silky English bone china. 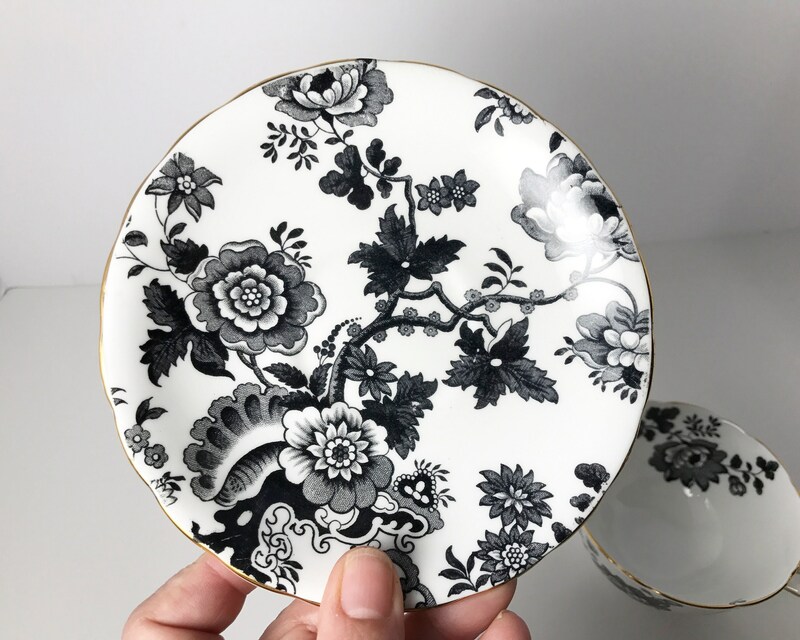 CONDITION: This is lovely piece of Staffordshire bone china is in excellent condition with no chips, cracks, or nicks. 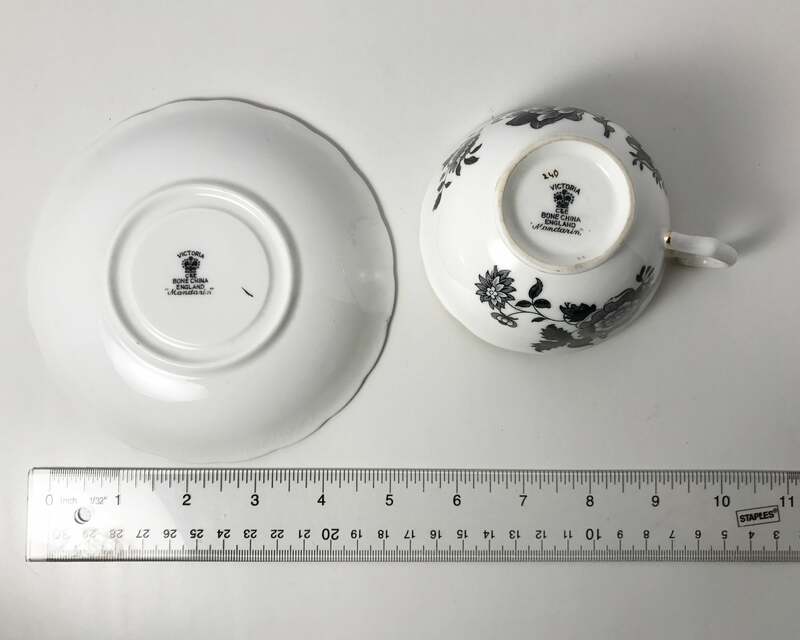 SIZE: The cup is 2 1/4 inches tall, and the saucer is 5 1/4 inches wide.